The tent is up and the prices are down, all in preparation for Andrew Toyota’s Semi-Annual Tent Sale extravaganza. Join us for finance specials, lease deals, and purchase savings! 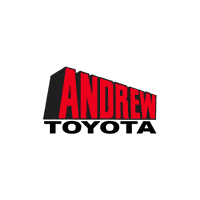 August 17th and running through Labor Day, you’ll have the opportunity to shop Andrew Toyota’s amazing selection of quality new and used cars, trucks, SUVs, vans, and more! There will be nearly 500 fantastic vehicles available AND used vehicles from-all makes! Come out and take advantage of vehicle savings on budget cars to family upgrades, and even luxury vehicles! PLUS—Join us on Saturday, August 18th, Saturday, August 25th, Saturday, September 1st, and Labor Day Monday, September 3rd FOR A COOKOUT AND BOUNCE HOUSE FOR THE KIDS! In celebration of the Labor Day holiday, our prices have never been better! We are looking to make 150 new car deals AND 160 used car deals. All vehicles will be sold on a first come, first served basis! Roll in for this special event, and trade up to a better ride! Let us put you in your next great car during the Semi-Annual Tent Sale! It’s all happening at Andrew Toyota -but you’d better hurry! And as always, you can depend on Andrew Toyota for superior customer service, selection, and prices!